Check exactly what you need to take with you, how you should prepare your bike, and how to get to the camp. 1. Trip documents. The only necessary document is a Participant Card. This document will be generated by our system after successfull registration to the camp. Please remember to bring this document, because without it we will not be able to accept the participant at the camp. 2. BMX bicycle. A proper bike is essential. 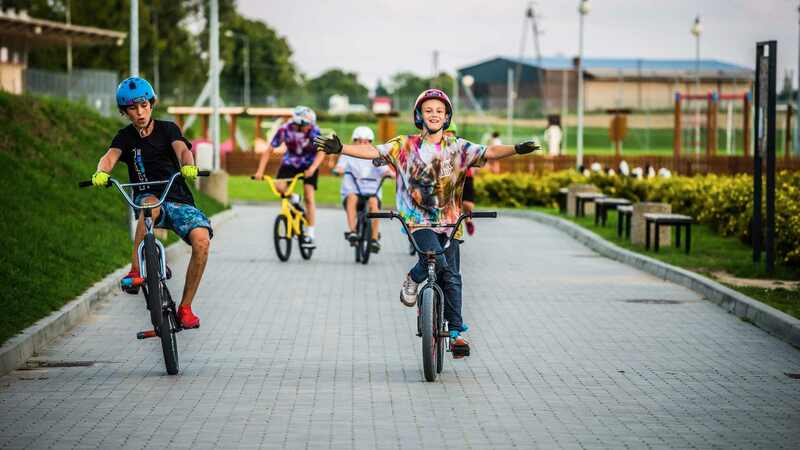 Before leaving, it is worth checking whether the bicycle is made to meet current standards (for more information: www.jakibmx.pl) and that all parts are working properly lubricate the bearings, centre the wheels, lubricate the chain, set the brake, pump up the tyres etc. 3. Protectors. Due to frequent impact in the area of the tibia, knees, ankles and elbows it’s recommended when riding BMX to use protectors for the above mentioned parts of the body. Protectors should be well matched in size, which means they rigidly cling to the body, but do not hurt and allow easy movement. It is also worth obtaining a mouthguard. 4. Footwear. Appropriate footwear is essential. The shoe should have a flat, even sole and be comfortable. Due to the frequent physical exercise, we recommend bringing two pairs of shoes. 6. Helmet. Proper size is important. The helmet should rigidly stick to the head, but not constrict. It is advisable to get a proper BMX helmet or one that protects the top of the head but also the base of the skull. Ordinary cycling and other helmets are not suitable for BMX. 8. Money. A small amount of money will be needed by the camper for small daily expenses such as drinks and sweets. 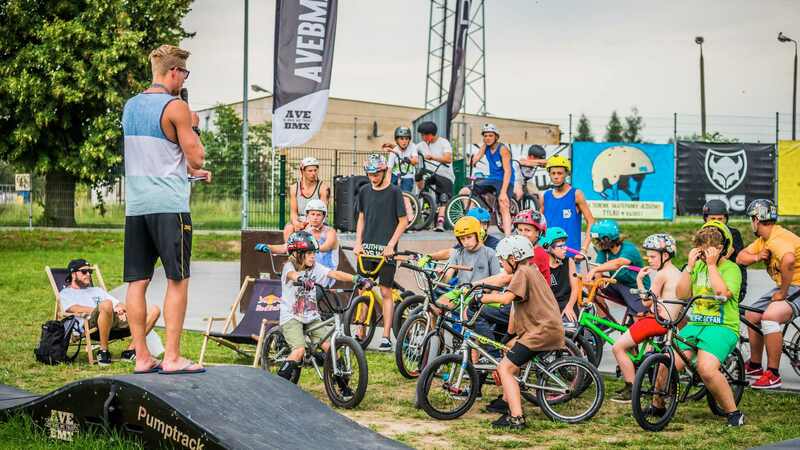 The participant should have a BMX bike in good repair, based on components compliant with current standards. Many shops (internet, markets, cycling, Allegro/eBay) offer bicycles which superficially resemble BMXes, but are not. These bikes are not designed for performance riding – they are not very strong, dangerous, and incompatible with current standards. How to distinguish a true BMX freestyle compliant with current standards from other bikes? More detailed information regarding the selection of the right equipment can be found at . You can rent a bike for the duration of the camp. The bikes we have are robust, secure, and comply with current standards. Each of them has an efficient brake and pegs will be mounted on request. For optimal bike selection it is necessary to provide the camper’s height. Inquiries about bike rental, please email lp.xmbevailu@pmacxmb.de. Renting a bike for one camp stay costs 150 EUR – payable in advance by bank transfer or on site on the day of arrival. Campers have free bicycle servicing available. For safety reasons, tools required for basic repairs are only provided to campers in the presence of a technician or instructor. More complex repairs will be performed by the technician personally. During servicing classes, campers learn: What a BMX is made of, how to put together and take apart the bicycle, tighten the chain, change an inner tube, replace grips, set the steering wheel, tighten spokes and many other useful skills covering bike maintenance. 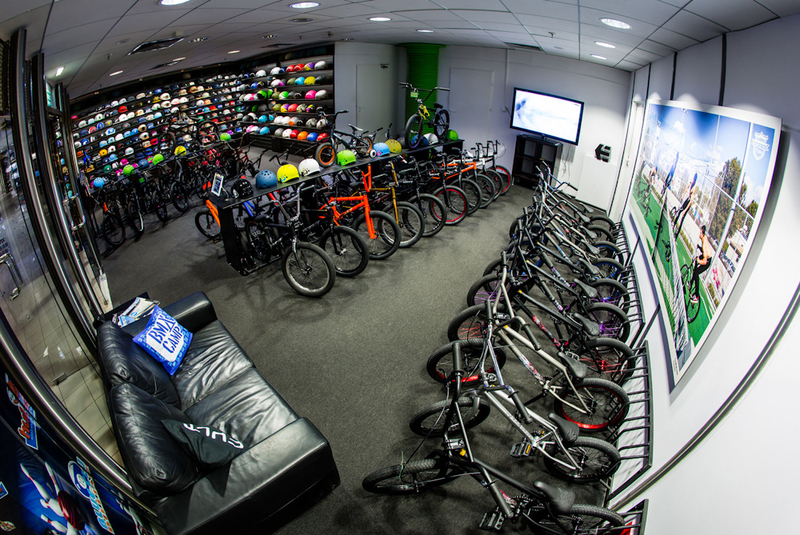 During the camp, the school building hosts a BMX shop equipped with spare parts compliant with current standards. Payment can be made in cash.